MINI Countryman: First exclusive video! Home / MINI / MINI Countryman: First exclusive video! Next week the MINI Countryman will celebrate its world premiere in Geneva and right now, we have some never-before-seen driving footage for you. Courtesy of MINI Youtube Channel, we’re enjoying again the funky, intriguing and lively MINI videos. Carrying the tagline, “Life is out There”, the MINI Countryman video can be summed up in just a couple of sentences: it is a giddy montage of footage that packs a lifetime’s worth of adventure into a snappy few minutes. It is about drawing a connection between the increased interior space of the Countryman, which is the roomiest MINI yet, with living large, expanding horizons, seizing the day. As a recap, MINI Countryman is entering the market with a choice of three petrol and two diesel engines; the power range extends from 90 hp in the MINI One D Countryman all the way to 184 hp in the MINI Cooper S Countryman. At the high-end of the line-up, the 1.6-liter four-cylinder petrol engine comes for the first time not only with a twin-scroll turbocharger and direct fuel injection, but also with fully variable valve management. 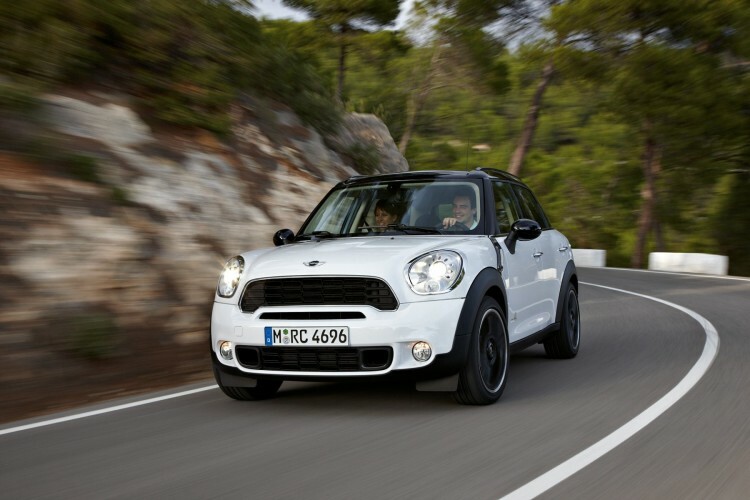 The Countryman gets a standard six-speed manual transmission; a six-speed automatic transmission is optional. MINI Cooper S Countryman and MINI Cooper D Countryman come equipped with the MINI ALL4 all-wheel drive, an electrohydraulic differential positioned directly on the final drive varying the distribution from front to rear in an infinite process. Under normal driving conditions up to 50 per cent of the engine’s power goes to the rear wheels, under extreme conditions up to 100 per cent, offering a new, high-traction rendition of that agile handling so typical of MINI. The MINI Countryman comes as standard with four seats, while a three-seat bench is available as a no-cost option.The cabin, among other things, gets a standard multifunction steering wheel with cruise control a center rail system that allows each passenger to store objects. Stay tuned next week for our live coverage from the Geneva Motor Show and more exclusive photos of the MINI Countryman. Previous post BMW CS Concept vs. Mercedes F 800 Style Concept: Any resemblance?